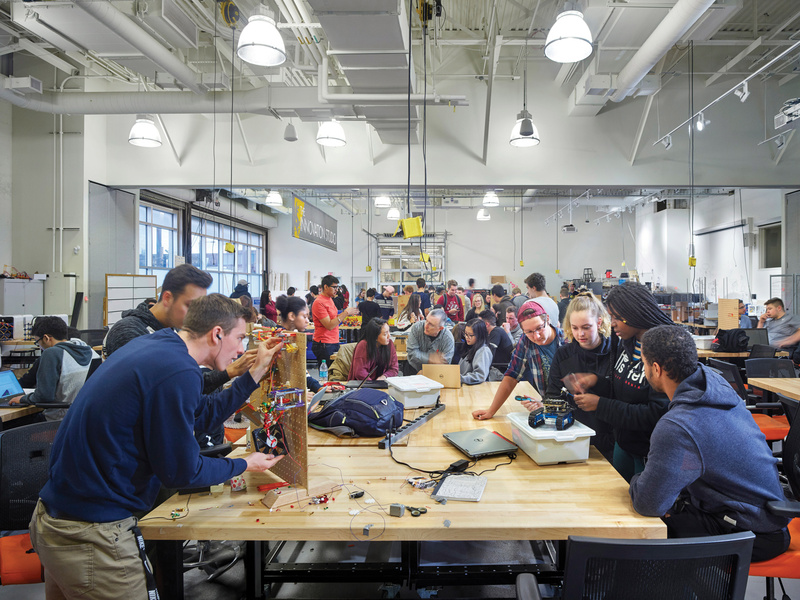 Since 2014, Drexel has invested $49 million and delivered approximately 40,000 square feet of new and improved research laboratory space, including work and design spaces for student innovation. Founded 1891 in Philadelphia, Drexel is a comprehensive urban university of more than 24,000 students, consistently ranked in America’s Top 100 by U.S. News & World Report. Drexel is a leader in experiential, technology-infused education, enriched by the nation’s premier cooperative-education program. The University’s recognized excellence in translational research is supported by the Coulter Foundation through the Coulter-Drexel Translational Research Partnership Program and by $108 million in sponsored research awards last year. Drexel enrolls students in on-campus and online programs leading to associate’s, bachelor’s, master’s, doctoral and professional degrees (including MDs and JDs) in 17 colleges and schools. Drexel also has some of the richest specimen and artifact collections in the world through the Academy of Natural Sciences of Drexel University, America’s oldest natural history museum. Drexel advances its culture of innovation by encouraging multidisciplinary collaboration, technology commercialization and entrepreneurship — an approach exemplified by the ExCITe Center, the interdisciplinary A.J. Drexel Institutes, Drexel Ventures, the Innovation Center @ 3401 Market Street, the Close School of Entrepreneurship and the Baiada Institute for Entrepreneurship. Drexel operates out of its 123-acre University City Campus in West Philadelphia and at four additional locations: the Center City Campus for the College of Nursing and Health Professions and the Academy of Natural Sciences; the Queen Lane Campus in East Falls for the College of Medicine; and through its online platform, Drexel Online.